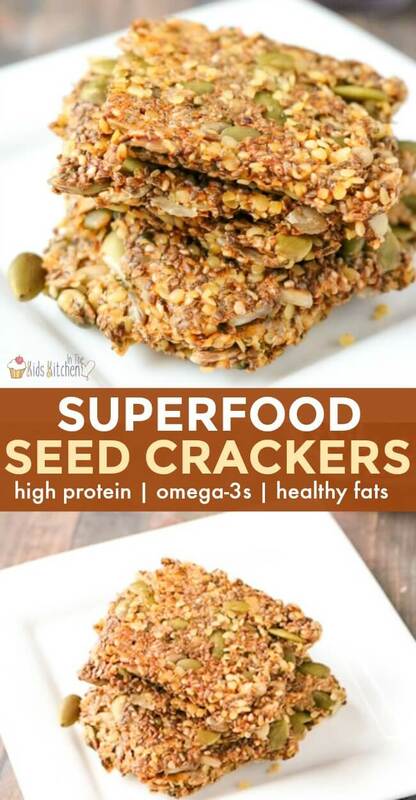 Healthy Seed Crackers – Superfood Snack! Fact of life: kids LOVE crackers! 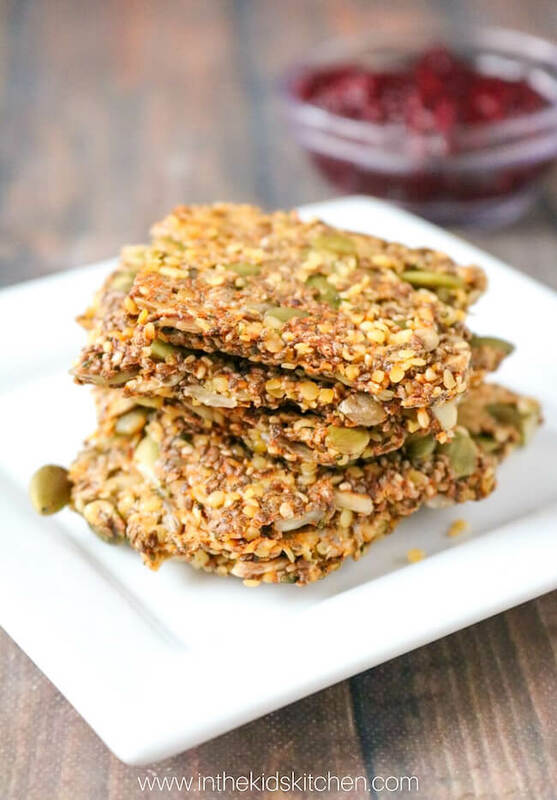 Our healthy seed crackers are a snack that you can feel good about serving them! Crackers are quick snack to reach for and can be taken everywhere – they’re perfect to pop into a school lunchbox. Top it with whatever spread your little one enjoys and you’ve got a quick and easy snack! 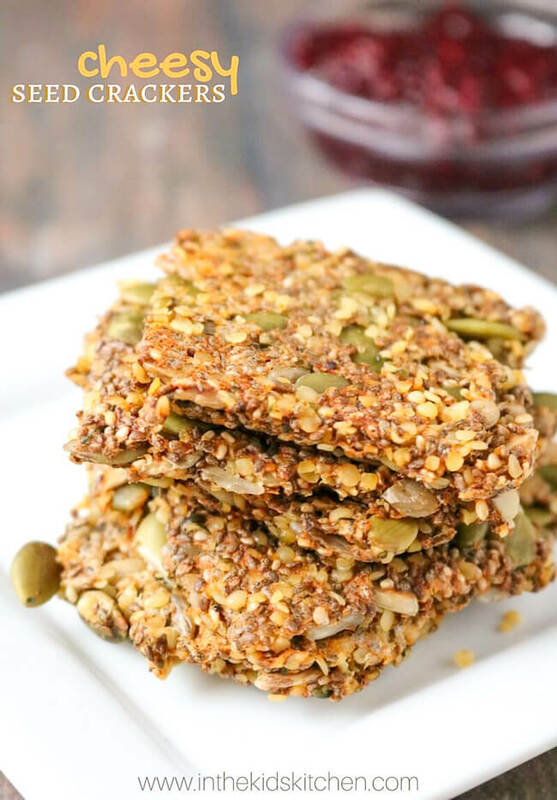 With these seed crackers, I wanted to make that snack healthier while maintaining it’s easy go-to nature. And so I came up with these cheesy seed crackers! What’s so neat about these crackers is that they taste super cheesy (thanks to our “secret” ingredient), but there’s NO dairy in the recipe! Related: See more fun and easy kids lunchbox ideas here! 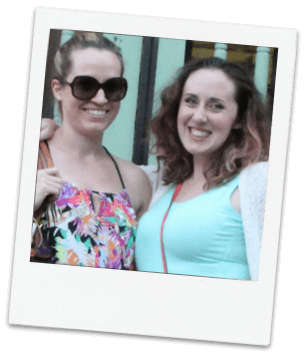 It’s almost too much to list! 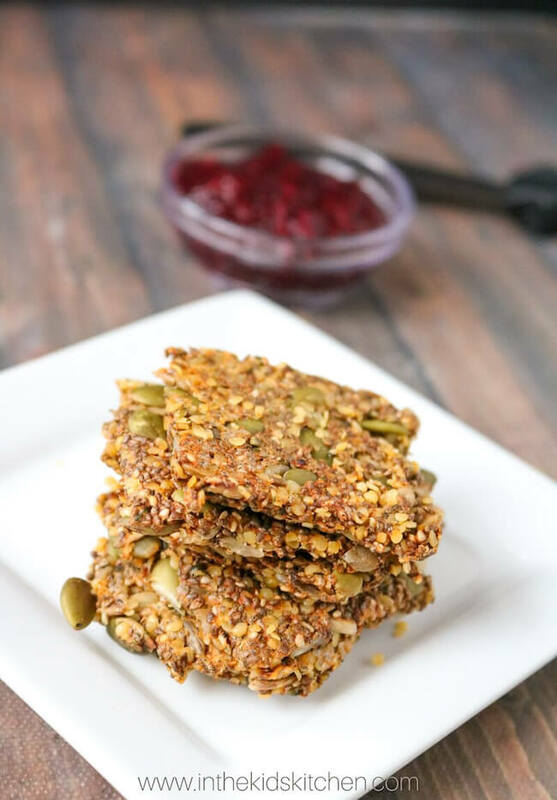 These seed crackers are truly a super food and super snack that will keep your babes tummies happy and full. Try them some homemade chia seed jam or even some meat and cheese! TIP: Nutritional yeast is the secret ingredient which gives our “Cheesy” Seed Crackers all that yummy cheese flavor. However, you can customize your seed crackers by omitting the nutritional yeast and swapping with cinnamon or other flavorings. Mix all ingredients except water and salt in a large bowl. TIP: I like my crackers with texture but if that’s not for you then grind the pumpkin and sesame seeds slightly before adding. Mix well. Add water and mix until everything is coated. Let sit for five minutes to allow the chia seeds to absorb the water. Spread mixture onto a silicone baking sheet or into a 9 x 9 pan. Make sure you spread/press down evenly and there are no gaps in the mixture. TIP: I made thicker crackers but if you prefer them thin and slightly crispy this recipe can be spread into 10 x 9 also. Sprinkle salt over the spread. Bake in oven for 32 minutes. Remove from oven, cut into crackers and flip them on the sheet. Bake for another 20-22 minutes watching closely the last few minutes. Let cool on the baking sheet for ten minutes before removing. This recipe makes about 12 large crackers. 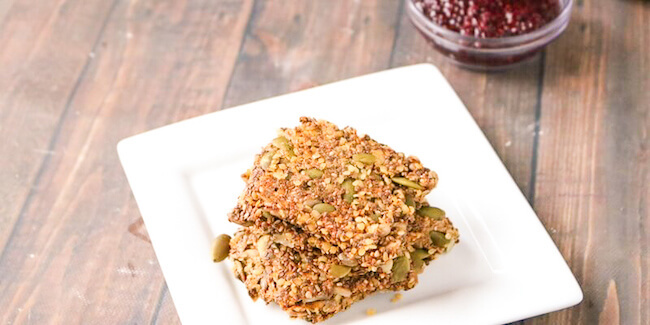 This healthy seed crackers recipe is a snack that you can feel good about! Combine all ingredients (except water and salt) in a large mixing bowl. Mix well. Add water to bowl and mix until everything is coated. 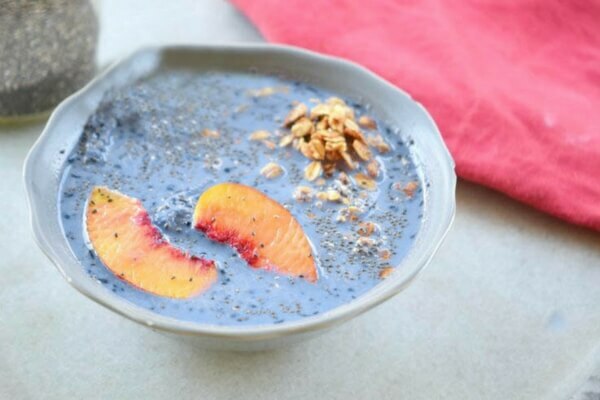 Allow chia seeds to absorb water for about 5 minutes. Spread mixture onto a silicone baking sheet or into a 9 x 9 pan. Press down evenly so there are no gaps in the mixture. Sprinkle salt over your cracker mixture and bake for 32 minutes. Remove from oven, cut into cracker-sized pieces and flip them over on the baking sheet. Return to oven and bake for another 20-22 minutes watching closely the last few minutes. Allow to cool to room temperature on the baking sheet before removing. What are your go-to healthy snacks for your kids? What healthy snack substitutes would you like to see us make next? 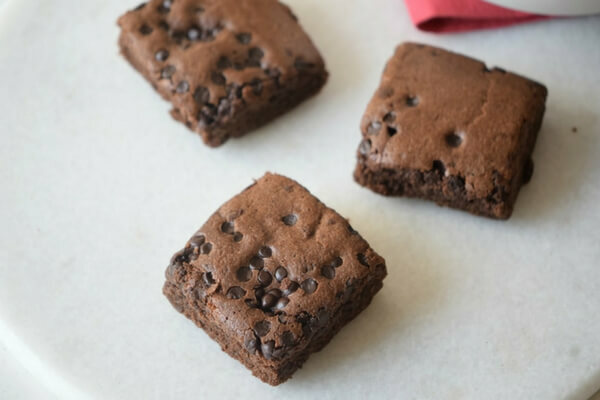 For more delicious and healthy snacks for kids, check out our healthy black bean brownies recipe or our kid-friendly mermaid smoothie bowl recipe.